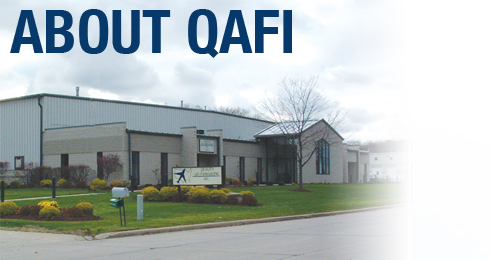 QAFI - Quality Air Forwarding, Inc.
Headquartered in Milwaukee, Wisconsin, Quality Air Forwarding, Inc. is a group of logistics professionals who specialize in Air Express and Expedited Ground Transportation Solutions. Customized options, honesty and world class customer service forge the foundation of our commitment to be your "Partner in Transportation". Founded in 1992, Quality Air Forwarding, Inc. has earned a nationwide reputation for exceeding our customer's expedited needs with on-time delivery and the highest level of customer service. With the simple goal of 100% Customer Satisfaction, our customer-focused approach is the foundation or serving our customers with honesty, flexibility and superior services and communication. Through many years of growth, our main focus has been to build long-term partnerships with customers who value consistent ON-TIME Air Express and Expedited Ground Transportation Services. You can count on Quality Air Forwarding, Inc. to be ready to do whatever it takes to provide reliable, TIME-DEFINITE, 24 hour-a-day expedited transportation solutions. Complete flexibility and customized solutions to exceed customer's expectations.